¶ O título Oásis de Bethânia foi inspirado num texto da própria Maria Bethânia. E, pela primeira vez, a abelha-rainha grava um texto seu em disco. Seus versos são interpretados entre a música e poesia de Paulo César Pinheiro na canção inédita Carta de Amor. 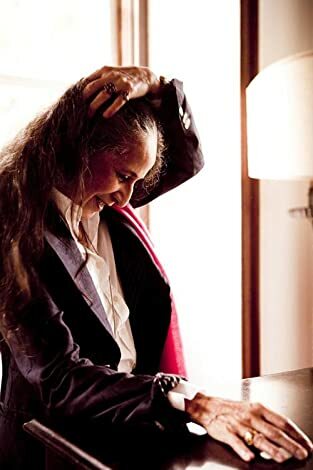 ¶ Oásis de Bethânia is another entry in the series of fine albums Maria Bethânia has been making for Biscoito Fino over the past ten years. 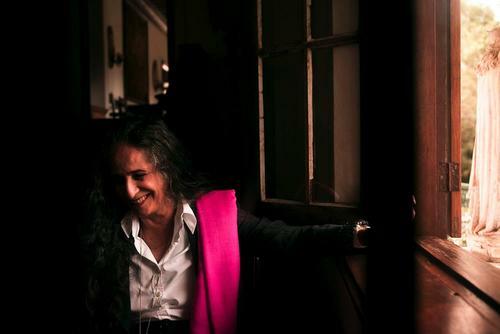 Freed from the pressure of being expected to deliver hits -- Bethânia was one of Brazil's biggest-selling artists for much of her career -- she is now happily enjoying a period of creative renaissance, and seems to feel more at ease in her role of superb interpreter of art songs than as pop star. Made in collaboration with bassist Jorge Helder, Oásis is Bethânia's 50th album, and like all of her recent work, is an understated, minimalist affair. This is a singer's album, backed by essential but unerringly gorgeous arrangements, rarely featuring more than one or two instruments, mostly piano, classical guitar, or viola caipira (a Brazilian version of the Portuguese guitar). It even includes one selection, Jota Velloso's "Calmaria," for only voice and berimbau, as well as a few bits of spoken poetry -- a constant throughout her career, in particular her live performances. Contrary to her latest offerings, however, Oásis does not have a unifying concept or running theme. This may very well be the main reason this record seems to suffer slightly by comparison. As each song stands on its own, the gap between the lesser ones and the great ones becomes more noticeable. Still, any possible objections quickly become a matter of splitting hairs, as Bethânia's supreme vocal skills, paired with the undeniable elegance of the arrangements, makes it impossible for Oásis to be less than a work of stately beauty and ultimate class. As usual, Bethânia relies on a blend of material from young composers she champions (Jota Velloso, Paulo César Pinheiro, Roque Ferreira) and classics or obscure gems from the bottomless annals of Brazilian popular music, such as her simply exquisite version of "Lágrima," which Orlando Silva made famous back in 1935, or Chico Buarque's "Velho Francisco," with special guest Lenine on guitar. ¶ Djavan also shows up to play guitar on "Vive," a song he wrote especially for Bethânia. 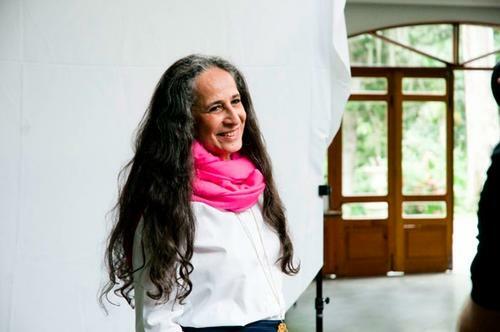 ¶ Maria Bethânia, sister of Caetano Veloso, is a renowned singer on her own. Her scenic, dramatic abilities, in a profoundly Brazilian tradition, make her performances quite personal, which has brought her a massive and faithful audience over the decades. ¶ As a child, she wanted to be an actress right from the start. But, as her mother loved to sing, music was always around. Her father was not musically gifted, but loved to listen to Dorival Caymmi and Noel Rosa compositions. At 13, her family moved to Salvador, and she began to frequent the "university circles," intellectual groups gathering around art exhibitions and performances. The access to theater plays strengthened her desire to become an actress. At that time, a novice Caetano Veloso had become the musical partner of the play director Álvaro Guimaraes. For Guimaraes's short movie Moleques de Rua, Veloso composed a soundtrack which should have had, according to him, his sister singing in it. At 16, Bethânia tried to refuse, as she had never sung under such pressure. But Guimaraes loved her timbre, and included her in his 1963 staging of Nelson Rodrigues' musical Boca de Ouro, where she performed a cappella. In the same year, they became acquainted with Gilberto Gil and Gal Costa. Next year, Veloso was invited to organize a Brazilian popular music show at the opening of Salvador's Teatro Vila Velha. The show, called Nós, por Exemplo, included Veloso, Maria Bethânia, Gilberto Gil, and Gal Costa (still under her name Maria da Graça). The show was a success and was reenacted two weeks later, with the addition of Tom Zé (still presented as Antônio José). The success was even bigger, and the group (without Zé) soon presented another show, Nova Bossa Velha, Velha Bossa Nova. In that same year, Bethânia acted alone in her musical Mora na Filosofia, directed by Veloso and Gil. ¶ In January 1965, still a school student earning bad grades, she was surprised by the invitation to substitute for Nara Leao, already an established young singer who had had a problem with her vocal cords, in her highly successful show Opiniao. Bethânia's opening on February 13, 1965, was very successful, and her dramatic performance of "Carcará" (Joao do Vale/José Cândido) launched her as an overnight national success, repeated during the Sao Paulo season. Because of the sucess, Guilherme Araújo, then assistant for Aluísio de Oliveira at the RCA label, invited her, through Veloso, to record for the label. In May of that year, Bethânia recorded her first single, and some months later, her first LP. On September 26, 1965, the Vila Velha gang opened the show Arena Canta Bahia, at Sao Paulo's Teatro de Arena. In April 1966, Bethânia, invited by Guilherme Araújo, opened her show Recital at the Cangaceiro nightclub, in Rio. It also opened the way for Guilherme Araújo to become the manager of Veloso, Gil, and Costa (receiving 20 percent for 70 of his songs, he would be sued by Gil in 1992). She also performed at the Barroco nightclub (Rio). In the same year, Bethânia performed in the show Pois É, together with Gilberto Gil and Vinícius de Moraes, at the Teatro Opiniao. In the following month, October 1966, Bethânia performed "Beira mar" (Caetano/Gil) at the I FIC. In 1967, she recorded with Edu Lobo the Elenco album Edu Lobo e Maria Bethânia. 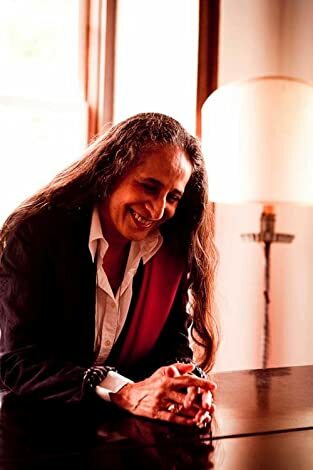 Through 1970, she would also be featured in the shows Yes, Nós Temos Maria Bethânia (Teatro de Bolso, Rio), Comigo Me Desavim (Teatro Miguel Lemos, Rio), Recital Na Boite Blow Up (Sao Paulo), and Brasileiro Profissao Esperança (Teatro Casa Grande, Rio). ¶ In 1968, she performed on the LP Veloso, Gil e Bethânia (RCA) and the solo LP Recital na Boite Barroco. In 1969 and 1970 respectively, Bethânia released the LPs Maria Bethânia and Maria Bethânia Ao Vivo. In 1971, she recorded for Philips the LP A Tua Presença. In July, backed by the Terra Trio, she opened at Rio's Teatro da Praia her show Rosa Dos Ventos, which yielded a live album under the same name, produced by Roberto Menescal. In 1971, she went to Europe and performed at the MIDEM (Cannes, France), and in Italy. Next year, she appeared, together with Chico Buarque and Nara Leao, in the film Quando o Carvaval Chegar. The movie's soundtrack was released in 1972 by Philips. Bethânia wrote the lyrics for Caetano Veloso's song "Trampolim," released on her album Drama. A European tour through Italy, Germany, Austria, Denmark, and Norway followed. In 1973, she opened her show Drama, Luz da Noite, also recorded as an album under the same title. Commemorating the tenth year of her career, she opened her show A Cena Muda (1974), recorded and released in November 1974. On June 6, 1975, Bethânia performed in a live show together with Chico Buarque, recorded and released as Chico Buarque e Maria Bethânia Gravado ao Vivo no Canecao. In 1976, she recorded Pássaro Proibido. In July, together with Caetano Veloso, Gilberto Gil, and Gal Costa, she toured Brazil with the show Os Doces Bárbaros, which yielded a film of the same name by Jom Tob Azulay and a double album released by Philips in November 1976. On January 13, 1977, her show Pássaro da Manha opened, released as a studio LP under the same title, which brought her second gold record. 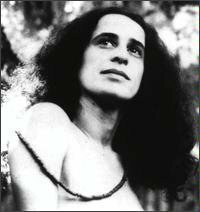 In May 1978, Bethânia released, with Veloso, a live show recorded in LP as Maria Bethânia e Caetano Veloso ao Vivo. ¶ In 1978, the LP Álibi was released (certified as a gold record before hitting the streets, making her the first Brazilian female singer to reach one million sold copies), producing a show with the same name in July of the next year. In December 1979, she released the album Mel, which also brought the show Mel in January 1980. The same year came the LP Talisma. In the next year, she opened her show Estranha Forma de Vida and released her album Alteza. In 1982, Bethânia performed in the show Nossos Momentos. In 1983, she took another turn in her career with the album Ciclo, branching out of her popular formula toward a new acoustic direction. In 1984, she performed in her show A Hora da Estrela, with songs especially written by Veloso and Chico Buarque. The album A Beira e o Mar followed. In 1985, the show 20 Anos opened. 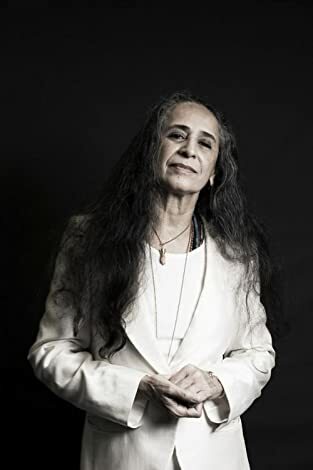 The next year, Bethânia signed with RCA for the release of Dezembros, which contained unpublished songs by Tom Jobim, Chico Buarque, and Caetano Veloso, and "Cançoes e Momentos," written especially for her by Milton Nascimento. In 1988, she recorded Maria, with guest stars Jeanne Moreau and Gal Costa, which also was the name of her show which opened in that year. In 1989, the album Memória da Pele was released, and Bethânia presented the show Dadaya -- As Sete Moradas. Her 25th career anniversary was commemorated with the album and show 25 Anos, with participation from Nina Simone, Hermeto Pascoal, Egberto Gismonti, Joao Gilberto, and others. In 1982, she released the album Olho D'água, which was included in a major soap opera's soundtrack. Her 1993 album As Cançoes Que Coce Fez Para Mim, also a show, was the best-selling record of that year (1,500,000 copies sold). For the label EMI/Odeon was recorded the album Âmbar, and also a show which was recorded live and released in 1997 as Imitaçao da Vida. ¶ De jeans e camiseta, cabelo preso, aos gritos de "pega, mata e come! ", Bethânia já foi musa da esquerda, tempos do show Opinião. Graças ao acaso – se acaso existe e não, destino - que trouxe a menina Berré de Santo Amaro da Purificação, Bahia, para os palcos do centro do país. ¶ Peruca canecalon, coberta de colares e pulseiras, gestos largos, recitando Fernando Pessoa e Clarice Lispector – Bethânia foi musa. A voz muito grave, sussurrando versos sensuais, embalou os amores dos casais pelos motéis, rivalizando na vendas de discos com o rei Roberto Carlos. Prendeu, soltou os cabelos, calçou, tirou os sapatos, largou as gravadoras comerciais, no auge do sucesso, trajetória inversa, tornou-se independente: conquistou o direito de gravar o que gosta, num repertório coerente e fiel à musica brasileira. ¶ Foram muitas Bethânias nesses mais de 20 anos. Ou era um só? O escritor Júlio Cortázar, fã confesso (não fosse um iniciado em magia), afirmava que Bethânia e Caetano são uma única pessoa: yin/yang, homem/mulher, Oxóssi/Iansã. Foi muito in, ficou inteiramente out – até ultrapassar as divisões maniqueístas dos manipuladores da opinião pública para ocupar esse lugar muito especial só reservados ao mitos. Bethânia, deusa guerreira, de espada em punho e voz rouca, inconfundível, procurando sempre versos que falem às emoções dos apaixonados. Gosta-se dela como se cai em estado de paixão: além de qualquer razão. ¶ E bela. Bela de um jeito que não é comum ser bela, cantora como não é comum ser cantora – nesse desregramento de padrões estéticos, Bethânia funde a aspereza de onde começa o Nordeste com o requinte dos blues de uma Billie Holiday. Cantora diurna das terras crestadas pelo sol, mas também noturna, dos lençóis de cetim úmidos de suor e amor, transita numa carreira de impecável coerência com sua própria criatura: dividida em mel e espada. Padroeira dos apaixonados, também divididos entre o mel e a espada cortante da vingança. 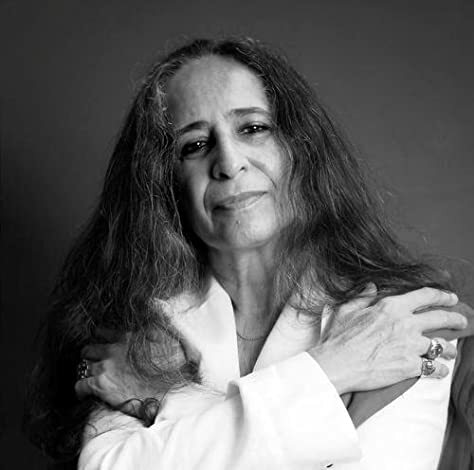 Dessa extensa legião, Maria Bethânia é a voz mais fiel."